Banners are one of the cornerstones of marketing. It’s common knowledge that if you want your business to be successful, you have to develop a brand and establish name recognition. The problem is that most other businesses do the same, and you need a way to stand out and imprint your brand in the minds of your customers. One time-tested way is to install high-quality banners that establish your company and help your customers remember and recognize you. Large banners for buildings are hard to install, and it is even harder to get the angle and placement exactly right. That’s where our team of rope-access specialists come in. 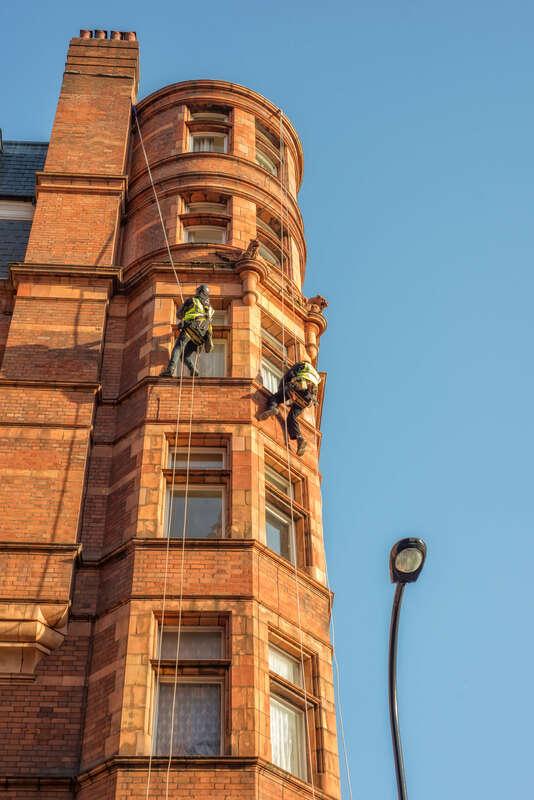 With more than 40 in number, we’ve had contracts with big companies all around London working on high-rise buildings and installing large banners – our customers are surprised by our fast working pace and immaculate installations. Thanks to our IRATA training, we’re more than qualified to install large banners wherever you want. If you want a banner installation on a building done in a timely fashion and without any hiccups, contact us and we’ll do the job for you. Our rope-access techniques mean you don’t need a permit, and we can start working on your project right away. In contrast, traditional techniques require installing scaffolding and getting a permit, which is too time-consuming.